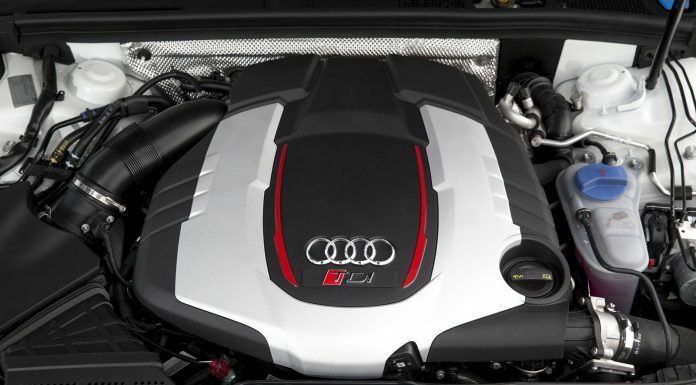 This year Audi celebrates the 25th anniversary of the TDI engine. 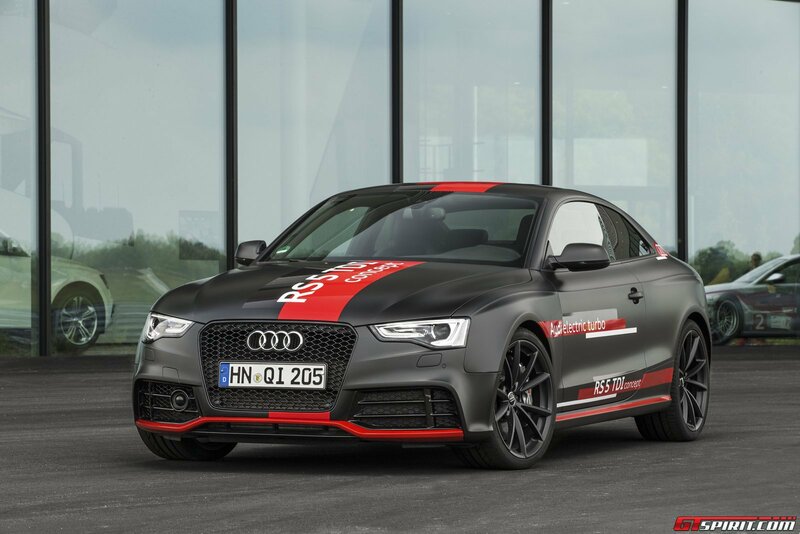 To make the celebrations extra memorable, a revolutionary new TDI-powered concept was revealed in the form of the Audi RS5 TDI Concept. Featuring a powertrain unlike any other on the market, it provides a glimpse into what could be the future of forced induction. 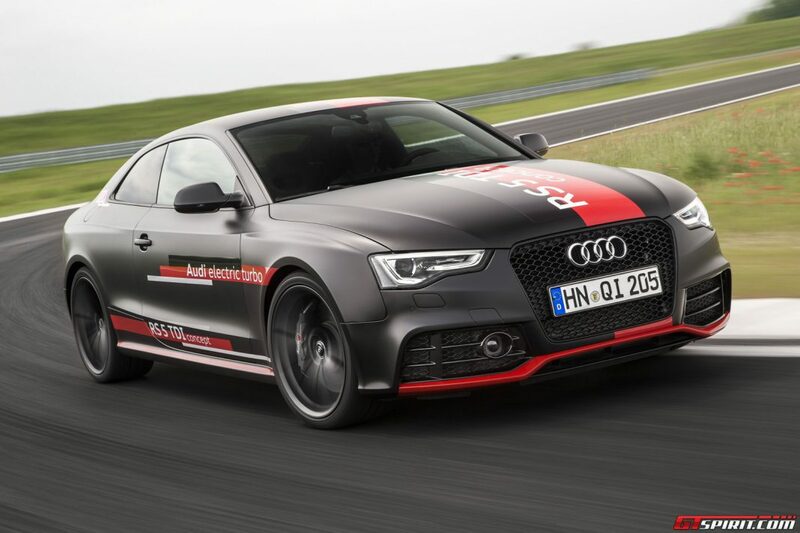 What differentiates the Audi RS5 TDI Concept from all other vehicles currently on the market is that it features an electrically driven turbocharger. 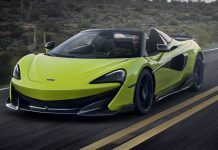 On top of this electric turbo, the car features two more traditional exhaust-flow driven turbochargers which can deliver as much as 2.4 bar of relative boost pressure. 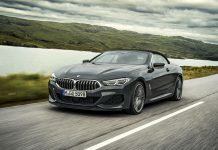 The implementation of the electric turbo helps to reduce all turbo lag by ensuring that the smaller of the two regular turbochargers can be spooled up at a moment’s notice. As a matter of fact, the electric motor can accelerate the compressor wheel to over 70,000 rpm in just a few hundredths of a second. Recuperation is the primary source of the drive energy for the electric turbocharger. 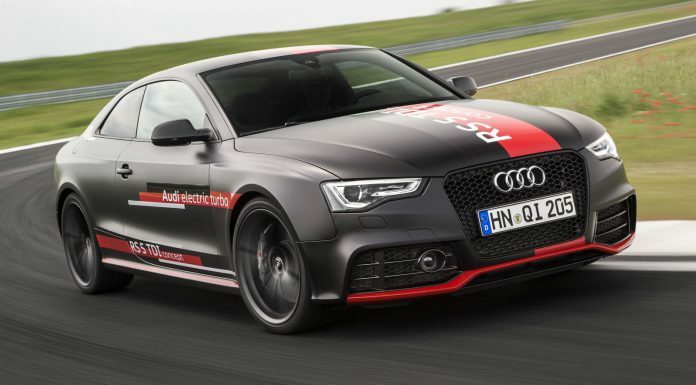 To transmit this energy, the Audi RS5 TDI concept uses a separate 48-volt electrical system that is connected to the conventional 12-volt electrical system via a DC/DC converter. The energy is stored in a compact lithium-ion battery. The advantage of 48-volt electrical systems is that they enable the transmission of larger amounts of energy. This makes them an important milestone in the Audi electrification strategy. 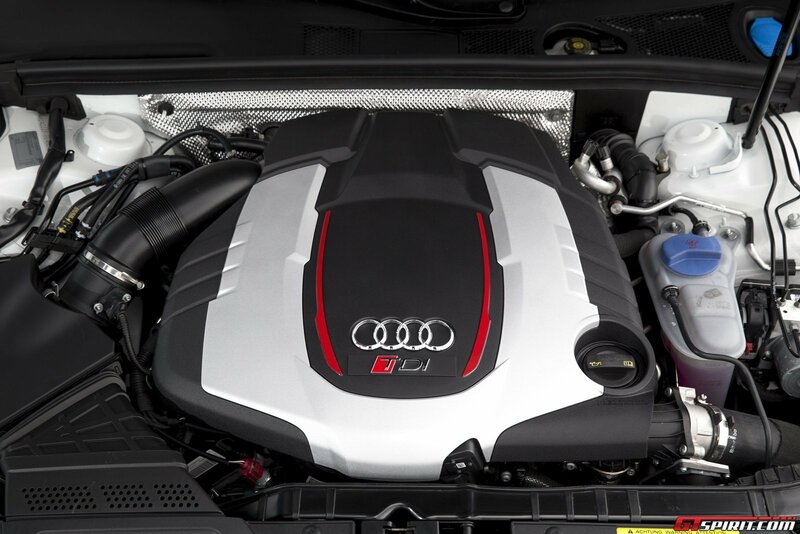 When it is all said and done, the 3.0-litre twin-turbocharged V6 TDI engine delivers a very impressive 385hp and 553 lb-ft of torque with the red line sitting at 5500 rpm. Thanks to the instant power and torque provided by the thoroughly revised engine, the Audi RS5 TDI Concept truly rockets off the line. 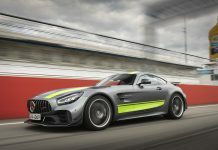 As a matter of fact, it will sprint from a standstill to 100 km/h in just four seconds, hit 200 km/h in less than 16 seconds and continue accelerating onto its top speed of 280 km/h. Despite these extremely impressive performance figures, the RS5 TDI Concept is actually extremely fuel efficient and sips less than 5.3-litres of diesel per 100 kilometres. That equates to 44.4 mpg in the U.S. Additionally, less than 140 grams of CO2 are emitted per kilometre. 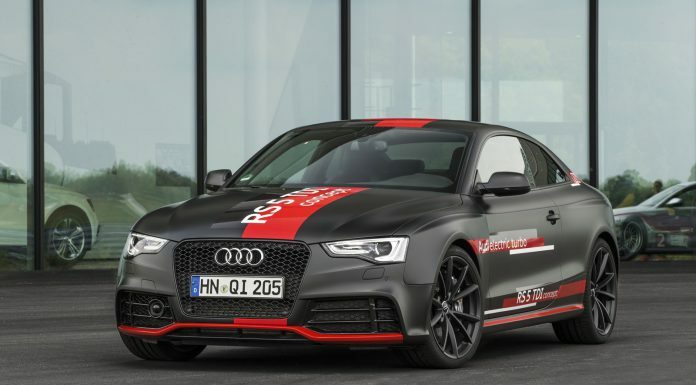 To put the performance of the RS5 TDI Concept into perspective, it is really worth comparing it to the standard Audi RS5 currently available to customers around the world. 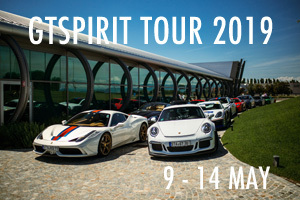 Its naturally-aspirated 4.2-litre V8 engine may produce more power, at just over 440 hp, but torque is significantly less and sits at 317 lb-ft compared to the 553 lb-ft of the RS5 TDI Concept. 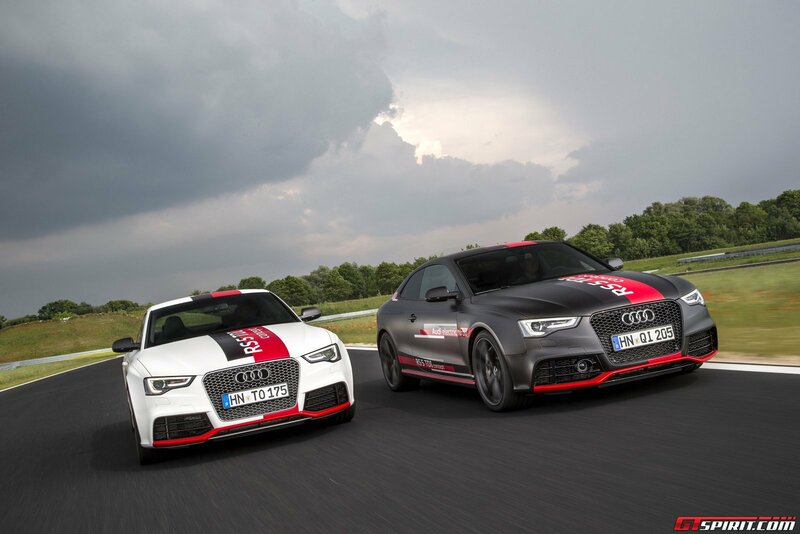 As a result, the normal RS5 takes 0.6 of a second more to reach 100 km/h and is electronically limited to 250 km/h. Recently Audi board member for technical development, Ulrich Hackenberg, confirmed that the upcoming 2016 Audi SQ7 will become the firm’s first model fitted with an electric turbocharged engine. 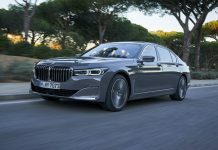 This is great news for both Diesel lovers as fans of turbocharged engines. Clear, the strive for lower emissions has already pushed many car manufacturers to turbocharged engines. But all had the same problem: turbo lag. 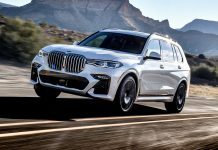 With this new technology making its way into more and more passenger cars, lag might become something of the past and a cars torque and performance curve can be developed in way that matches each car’s character. 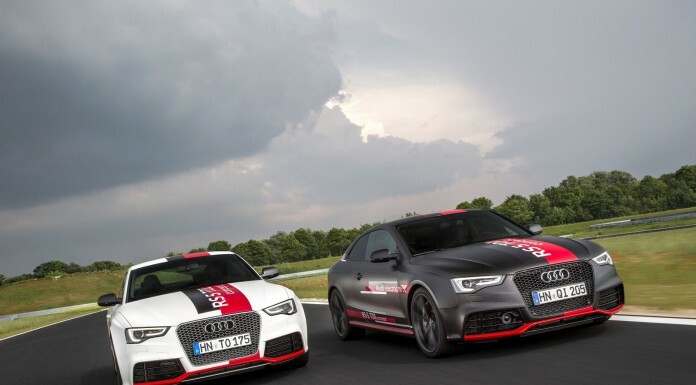 On the Styrup Raceway in Sweden we had the opportunity to drive a few laps with the Audi RS5 TDI Concept and we must say it was an eye opening experience. 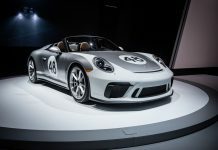 Beyond Le Mans Racing diesel cars are hardly associated with racing. Its low revs exactly the opposite of what we associate a race car with. But doing our laps of Styrup the TDI engine actually was a lot of fun. Of course this had a particular reason, the electric turbocharger provides so much power in the low range that it accelerates like a little rocket out of the bends. Above all the power delivery is very linear, like you would expect from a naturally aspirated engine. On top of that its torque band has made so wide that on this tight little circuit the third gear was enough to lap the entire circuit at speed. 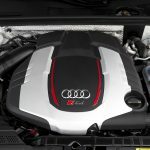 25 years after the first TDI engine, Audi brings another innovation to the street that in 25 years from now will hopefully be as common as the TDI engine today!